Key Difference: The main difference between a telescope and a microscope is that a telescope allows one to look at things far away, typically in the skies, such as the moon, stars, galaxies, etc., whereas a microscope allows one to look at things that are too small to be seen with the eye, such as cell structures, atoms, molecules, etc. Telescope and Microscope are two very useful tools. Both allow one to look at things that are not visible via the naked eye; however the things that they allow to be seen and the manner in which they work are completely different. The main difference between them is the fact that telescope allows one to look at things far away, typically in the skies, such as the moon, stars, galaxies, etc., whereas a microscope allows one to look at things that are too small to be seen with the eye, such as cell structures, atoms, molecules, etc. The premise behind both the devices is similar. They allow things that are not visible to the naked eye to be seen. In the case of the microscope, it is the things that are too small to be seen, in the case of the telescope it is the things that are too far away to see. While they seem similar, i.e. they make things larger, closer, and visible, the way the two devices work is completely different. 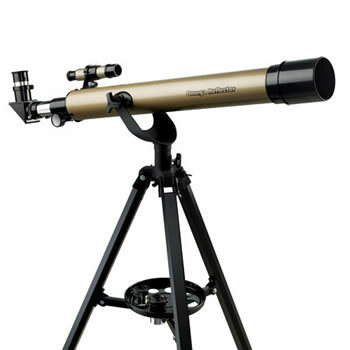 First there are various different types of telescopes and microscopes, and each one works differently. There are 4 primary types of telescopes: refracting telescopes, reflecting telescope, radio telescopes and infrared telescopes. The refracting telescope captures and refracts light in order to be able to show an image of a far away object. Similarly, a reflecting telescope uses life to reflect an image of the object. As the name suggests, the radio telescopes capture radio signals emitted by the object to map and generate an image of it, whereas an infrared telescope captures infrared signals to map the object. 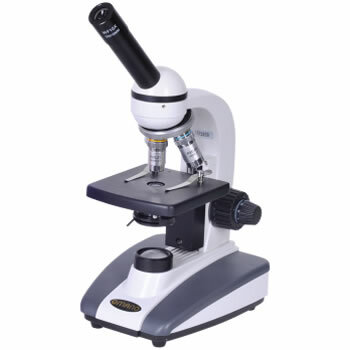 There are many different types of microscopes are well. The oldest type of microscope is the optical microscope which creates an image of an object by passing light through the object. Similarly the electron microscope, including both the transmission electron microscope and the scanning electron microscope, create an image by passing electrons through the object. The fluorescence microscope uses fluorescence and phosphorescence to map an image. Furthermore, in comparison as a telescope is designed to see things very far away, it will typically have a larger lens than a microscope. A telescope will also have a longer focal length than a microscope. According to space.stsci.edu, focal length is “the distance between the center of a convex lens or a concave mirror and the focal point of the lens or mirror — the point where parallel rays of light meet, or converge.” As the telescope needs to transverse longer distances, it will typically need larger lenses, which will have longer focal lengths. A microscope can have as larger a lens and focal length, however it will be overkill, as it just doesn’t need it. Another reason for this is the fact that telescopes need the length as it creates a much smaller image of very large object very far away. Alternately, a microscope creates a larger image of something very small. Hence, their focal lengths are inversed. Also the larger lenses of the telescope allow it to be able to absorb large amounts of light as the objects are so far away that very small amounts of lights arrive here. The telescope must be able to capture as much light as it can. It is also why most telescopes are used at night and in darkened places so that there will be less interference from other sources of light. A microscope usually has its own light source which it uses to create the image, which means that it does not need a larger lens to capture light. Another main difference between the two is the fact that in a telescope the objective lens remains fixed, while the eyepieces are interchangeable to modify image magnification and style. However, in a microscope the eyepiece is fixed, while the objective lenses are interchangeable to change the magnification or clarification of the image. Also it should be noted that a telescope is typically used in astronomy, whereas a microscope is used in sciences such as biology or chemistry. Allows one to look at things far away, typically in the skies, such as the moon, stars, galaxies, etc. Allows one to look at things that are too small to be seen with the eye, such as cell structures, atoms, molecules, etc. Optical microscope, fluorescence microscope, the electron microscope (both the transmission electron microscope and the scanning electron microscope) and the various types of scanning probe microscopes.